Influences my fans. soulja girls. 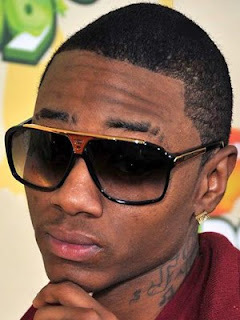 Soulja Boy Biography: Real name DeAndre Cortez Way was born July 28, 1990, better known by his stage name Soulja Boy, is an rapper, record producer, actor, and not to say the least, entrepreneur. At the age of 14, he moved to Batesville, Mississippi, with his father, and there he was given a studio to explore his talent as a rap artist. Soulja Boy began his drive towards success with a simple yet ambitious route. A juddering camcorder shooting footage in his basement fastly grew into worldwide phenomenon. With infectious hooks, dancing that burned into your memory. 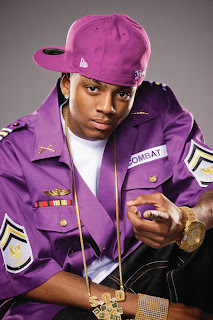 400 million views on YouTube and over five million downloads of the pandemic single “Crank That (Soulja Boy)”... seven weeks on Billboard Hot 100 singles chart and more than five million ringtones sold. With out a solid mixtape, album or prior single ,he lands gold. Soulja Boy earned 7 million in 2010 and was easily listed at #18 on the Forbes list of Hip-Hop Cash Kings for that year.